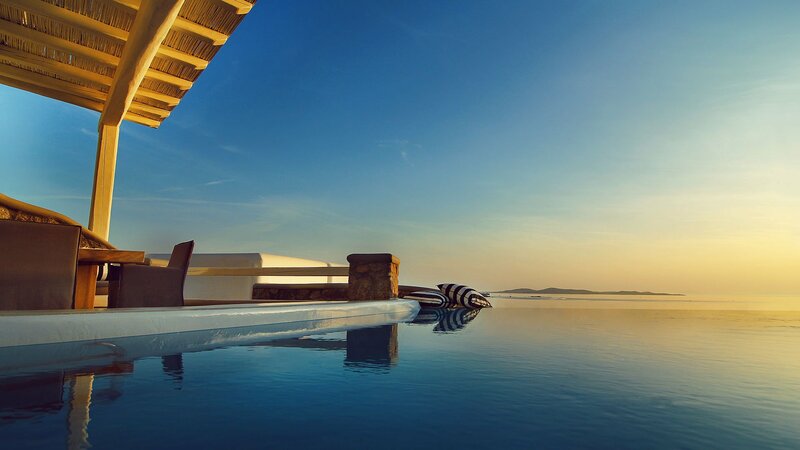 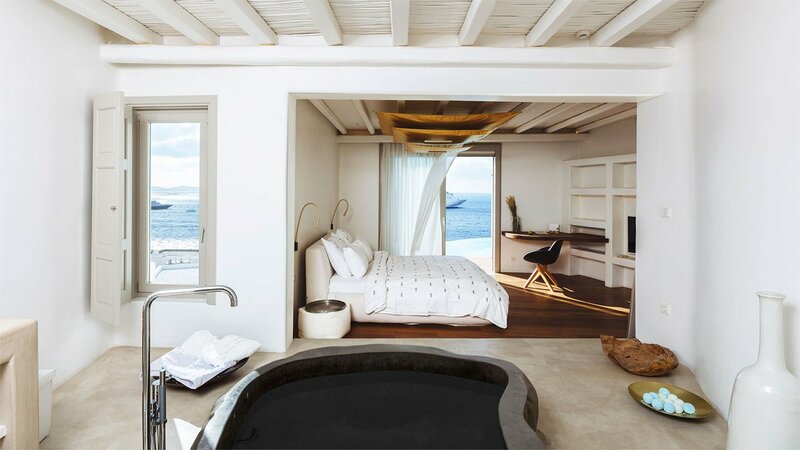 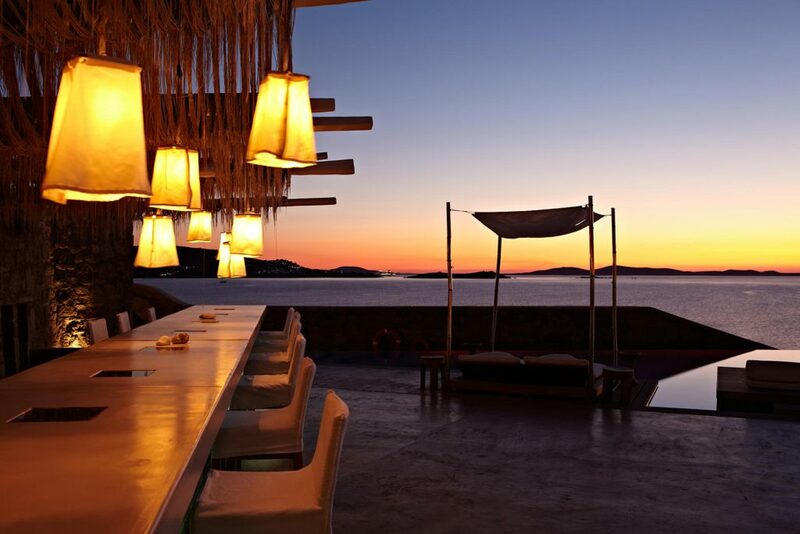 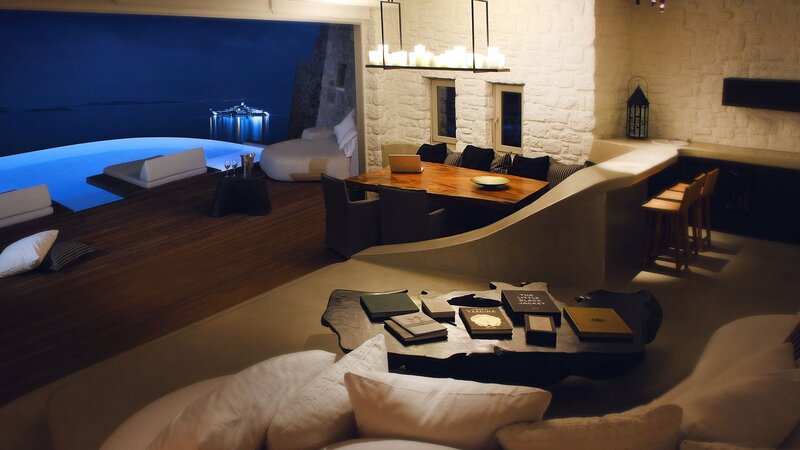 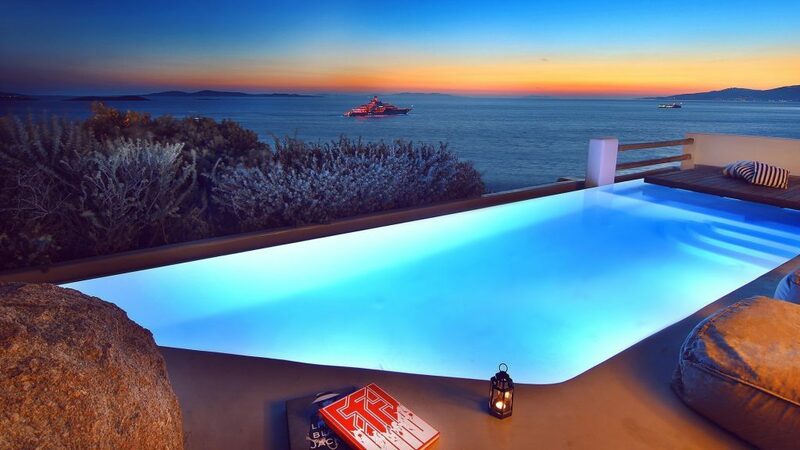 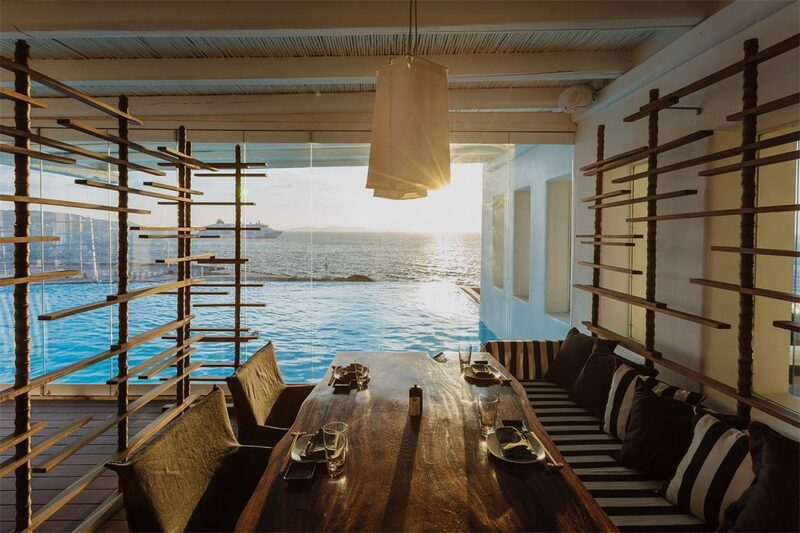 The Cavo Tagoo Mykonos is a luxury hotel with an excellent reputation for its quality accommodations, first-class facilities, and friendly professional service. 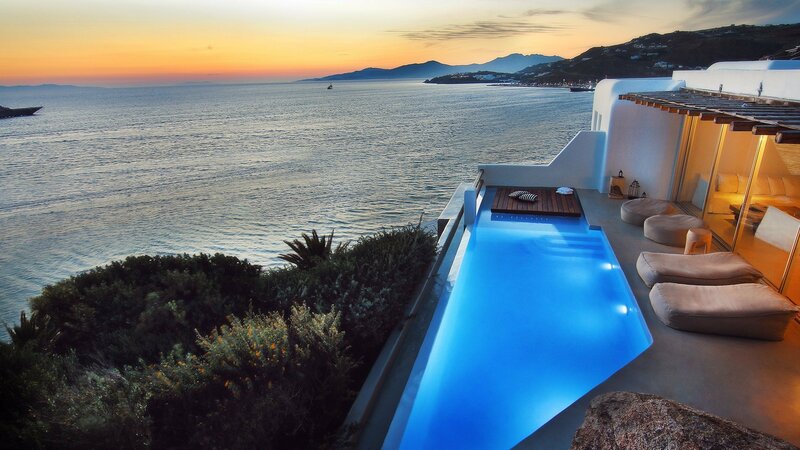 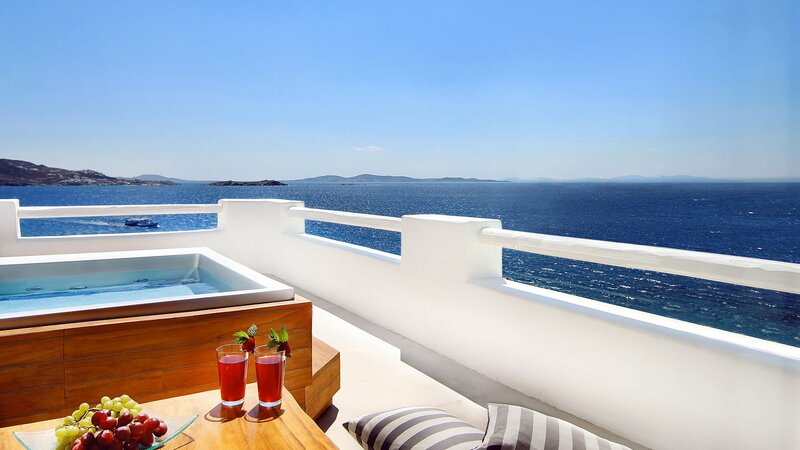 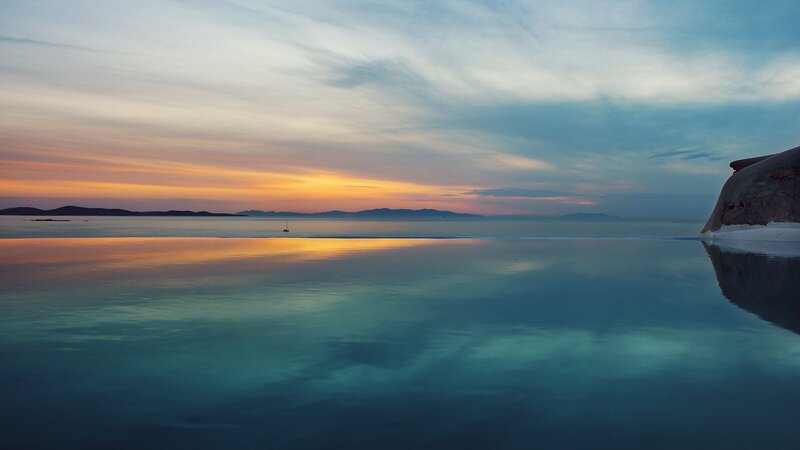 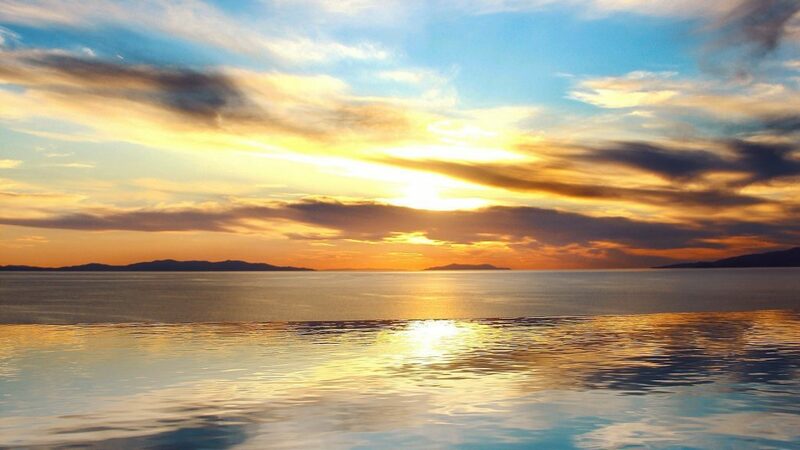 From the hotel, you can enjoy wonderful views of Mykonos Town and the Aegean sea. 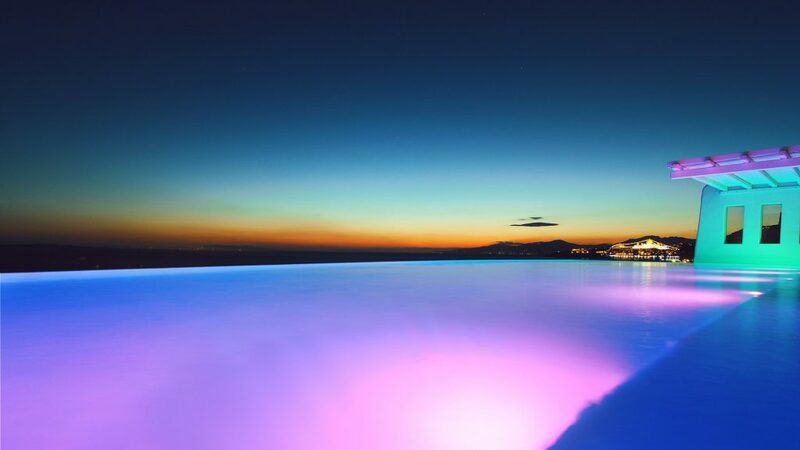 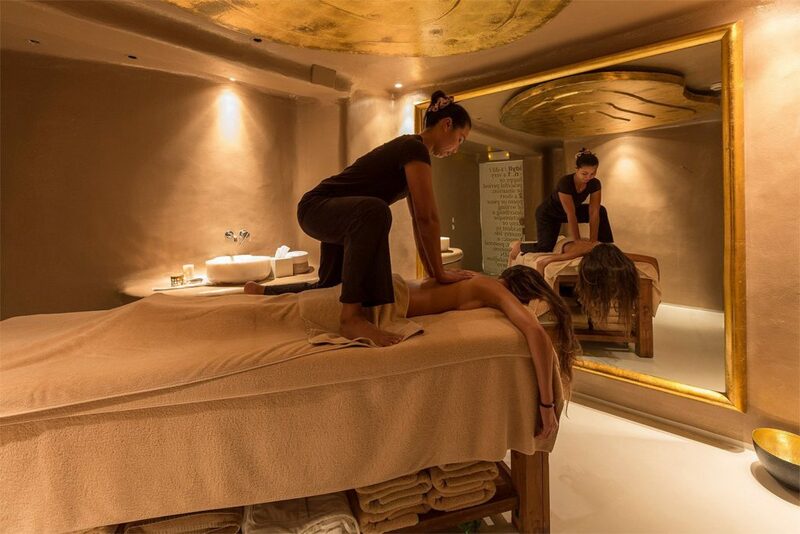 The hotel’s facilities include a freshwater swimming pool with spacious terrace and sun loungers, all day pool snack bar, Kiku Gourmet Restaurant, luxurious Spa offering various beauty treatments plus massage. 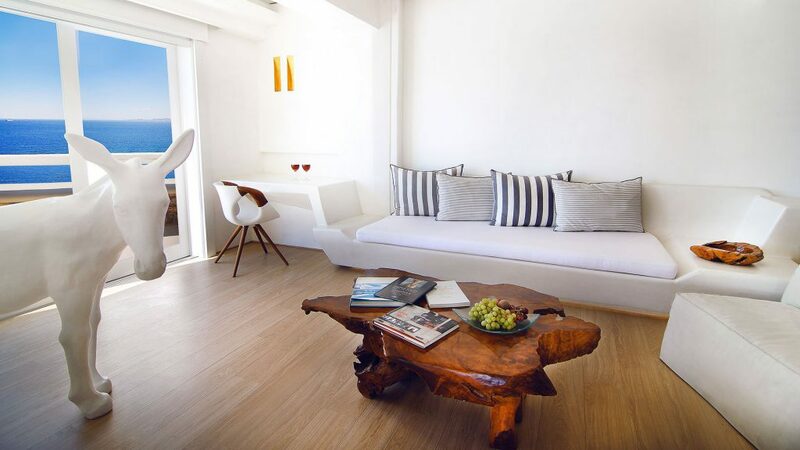 A choice of accommodations is available including stylish rooms, spacious suites, and private villas. 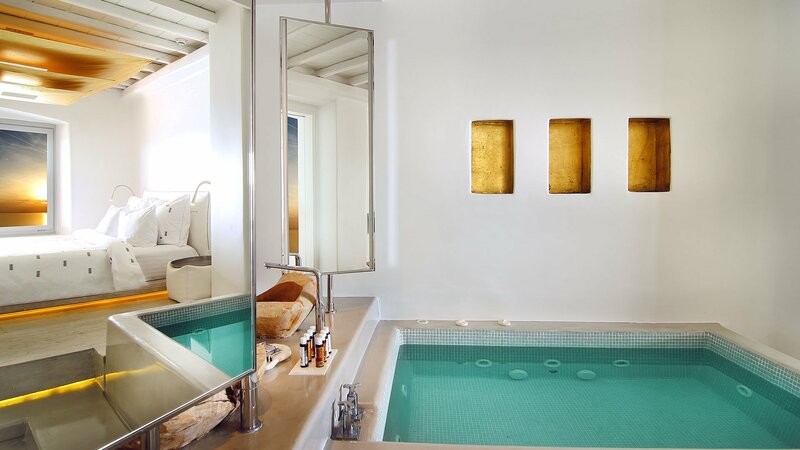 Many of the accommodations offer private pools or jacuzzi, all with sea views. Various stylish room options, all stylishly furnished with en suite bathrooms. 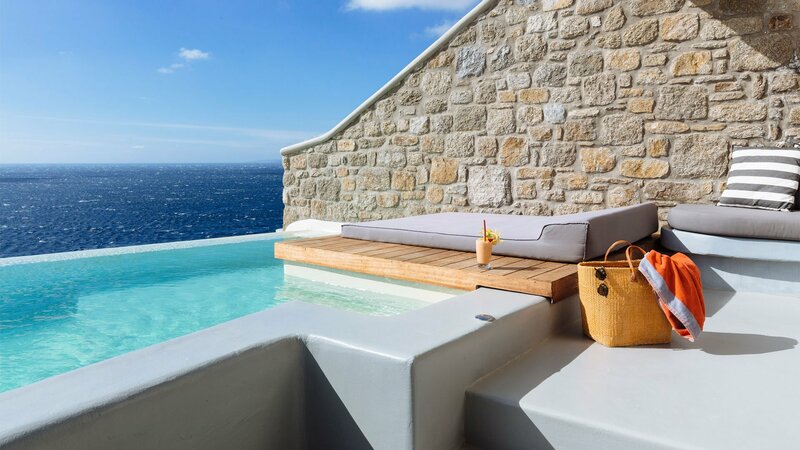 Balcony or terrace with sea views, some rooms feature private pool or Jacuzzi. 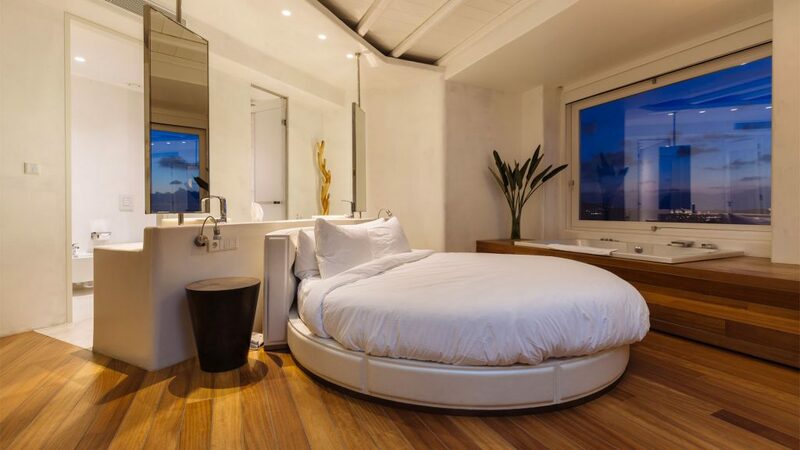 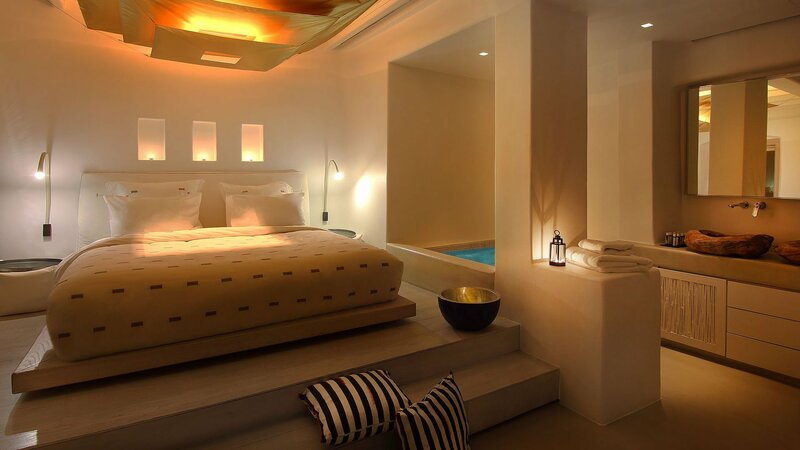 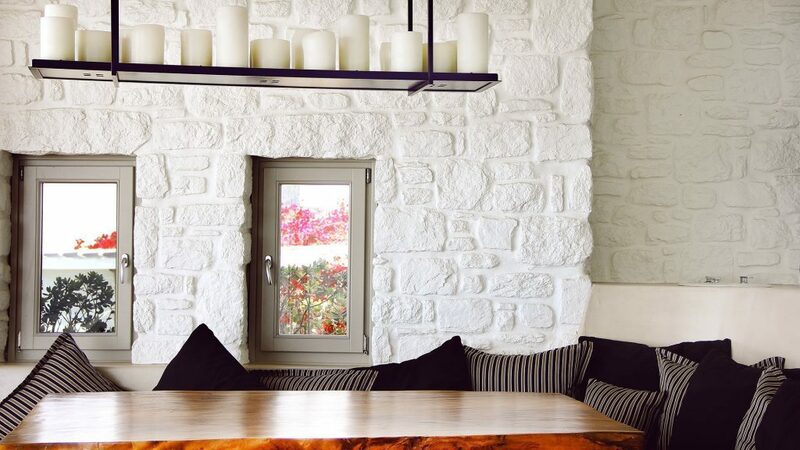 Luxury suites in modern Cycladic style, beautifully designed and furnished. Many suites offer private pools or Jacuzzi tub, all with fabulous sea views. 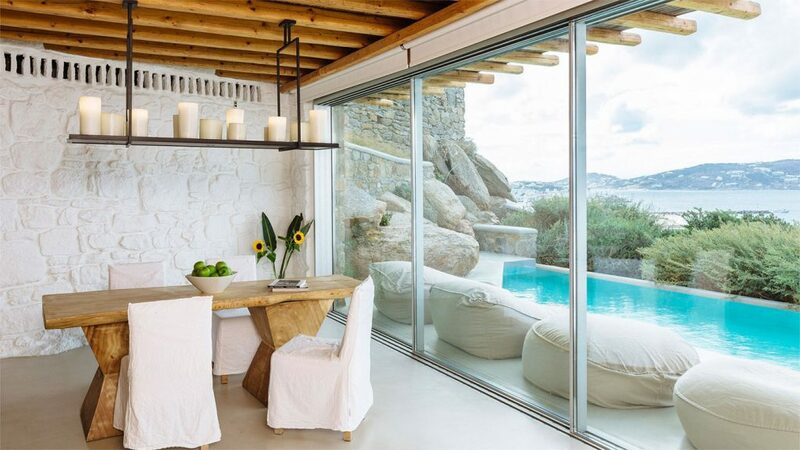 A collection of 3 luxury villas with wonderful sea views, the villas have been beautifully designed and offers something special for a holiday in Mykonos. 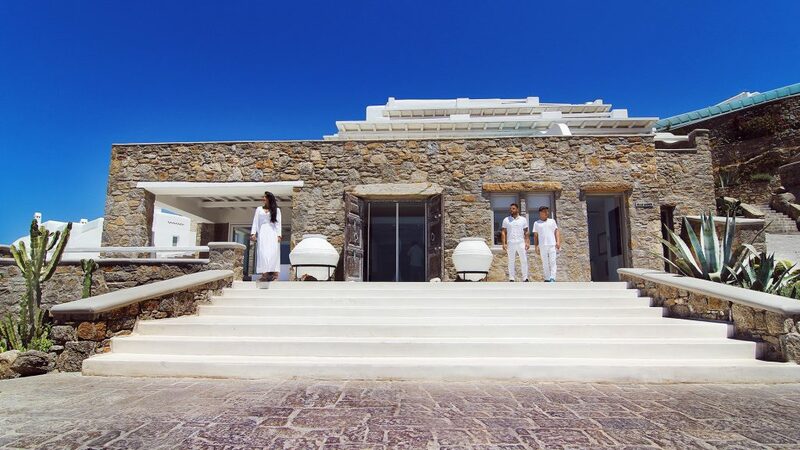 Each villa has a private pool with terrace and sun loungers, one, two or five bedroomed villas are available giving its guests that extra privacy but with all the hotels luxury facilities.